Our goal for the 2018-19 Rice-Cathedral Fund is $625,000. For more information about the Rice-Cathedral Fund and the impact of your support, please contact Christy Bahrenburg at (802) 862-6521 ext. 200 or bahrenburg@rmhsvt.org. Every year, we meet great families who want to send their children to Rice. However, many are unable to afford the full tuition. Funds raised through our Inspire a Life program make a Rice education possible for students who need financial assistance. Our goal is to accommodate every family with an established need. 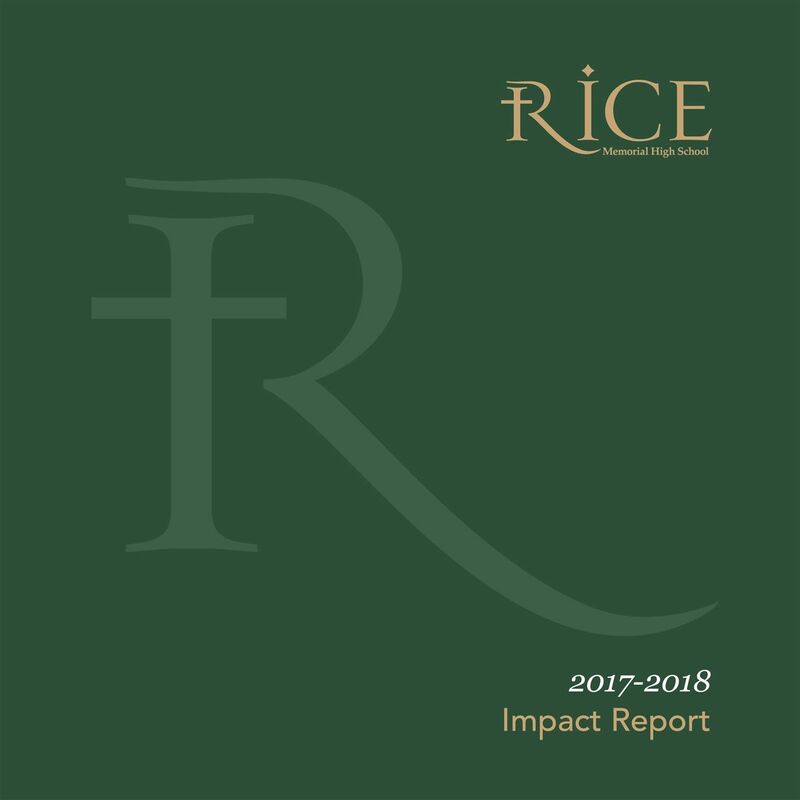 In 2018, Rice provided $716,000 in financial assistance to deserving students. Rice has a number of scholarships honoring the memory or legacy of alumni and beloved faculty members. Thanks to the generous support of many different benefactors, each of these scholarships enhances our ability to provide tuition assistance and ensures that no family is turned away due to a lack of ability to pay. If you’re interested in directing your gift to one of these scholarships or memorials, contact Christy Bahrenburg at (802) 862-6521 ext. 200 or bahrenburg@rmhsvt.org. Planned gifts allow you to provide for Rice Memorial High School while realizing your own financial and estate planning goals. Many planned giving methods benefit the donor as well as the school, by reducing or eliminating income, gift, and estate taxes. Bequests are the easiest form of charitable estate planning and enable you to name Rice Memorial in your will. For more information contact Christy Bahrenburg at (802) 862-6521 ext. 200 or bahrenburg@rmhsvt.org for assistance. Click on the cover image to read how our generous supporters have made a difference at Rice this year.